Join Benjamin O’Connor (Director, The City Centre) in conversation with celebrated artist Thomas J Price, Stella Ioannou (Co-director, Sculpture in the City), Carlin Fier (Director of Marketing and Communications, Brookfield) and Chris Bonner (Transport and Design Consultant) to explore a range of projects that are currently happening in the City as well as some of the challenges faced by creatives looking to make their mark on London’s public realm. The City of London boasts an incredibly diverse range of architecture, from state-of-the-art skyscrapers to Roman ruins and a total of 600 listed buildings and structures. Within this rapidly evolving urban environment, you’ll investigate the City by making drawings using: compressed space, peripheral vision, actual and implied movement and layering of space and time within an image. We are also very excited that one session will involve drawing from height and participants will gain exclusive access to a tall building in the City of London. All materials included. Suitable for all levels of experience. Our free City Briefing events give you the chance to learn about how the work of different teams within the City of London Corporation contributes to improving the built environment of the Square Mile. Join us at The City Centre next week where we will be hearing from the District Surveyor’s Office who have worked on many iconic buildings in the City including 20 Fenchurch Street, the Leadenhall Building and the refurbishment of Dr Johnson’s House. Join Gwyn Richards, Head of Design, in conversation with Mark Pundsack, Assistant District Surveyor, for an evening of debate and discussion around how the City is continually evolving to meet the needs of the growing community and an increasing number of visitors. All attendees will receive a free glass of wine or soft drink. 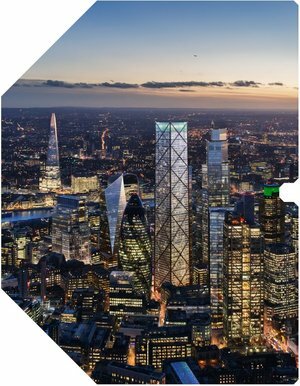 A recent New London Architecture study has highlighted that the number of skyscrapers being planned or built in London has passed the 500 mark for the first time. Many of these are set to be residential towers and are viewed by advocates of tall buildings as the solution to London's housing crisis. Yet, with the memory of the Grenfell Fire still fresh in the minds of most Londoners, a question mark remains over how safe housing people in high-rise towers can ever be? Join Peter Murray, Hasanul Hoque, Carolina Saludes, Sofia Geraghty and Victoria Gosling for an evening of debate, discussion and networking facilitated by The Great Debaters Club, the UK’s only debate club and training programme for adults. For 800 years the newly elected Lord Mayor has been rowing, riding or marching from the City of London to Westminster (and back again) to swear loyalty to the crown. Over the centuries the historic annual journey (now conducted in the splendid Lord Mayor's Coach) has become known as the Lord Mayor's Show at times a mediaeval carnival, a renaissance spectacle and a military parade. Families attending this year's show, now a world famous civic procession, will find a host of activities on offer at cultural venues along the route. Get creative at The City Centre at our relaxed design workshop before, during or after the Lord Mayor's Show inspired by 2000 years of architecture along the parade showcased in detail on our unique scale model of the Square Mile. Families are recommended to attend for up to one hour at anytime, tickets are valid all day. Suitable for 4yrs + All children must be accompanied by an adult. Urban designers are an integral part of making our environments attractive, accessible, safe and secure for the future. If you’re aged 14-19yrs and into art, architecture, planning or design you can spend October half term learning about a career path you might not have heard about before. 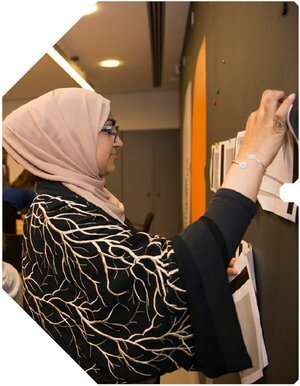 This course offers a range of hands-on practical activities, inspiring trips to public spaces and the chance to meet and learn from design professionals working in the public realm. You will have a fun, challenging and creative experience learning more about urban design, placemaking and the future of our cities. Over three days you will be challenged to think like a real urban designer, as well as work strategically and creatively, problem-solving as a team to respond to an authentic design brief. You will learn about key issues facing London and come up with your own original design solutions to them. Following the success of our Linda Kitson: iPad Drawings exhibition and Summer iPad workshop, The City Centre are hosting another iPad Masterclass this Autumn. Attendees will have the opportunity to show their work and ask for advice from the illustrator Millie Nice. Take to the City's streets, explore the changing skyline and learn how to create your own vibrant digital iPad drawings. The masterclass will start at The City Centre, 80 Basinghall Street, EC2V 5AG and after an introduction inside the venue, the remainder of the masterclass will take place outside so please wear warm clothes. Attendees are required to bring their own iPads to the session as well as a copy of their favourite photograph. Folding chairs for drawing outside will be provided. The City Centre will be open all weekend for Open House London 2018. Open House is a city-wide celebration of the buildings, places, and neighbourhoods where we live, work and play. Over the weekend City Centre visitors will have access to our upcoming exhibition and an overview of the latest developments and architecture in the City of London via the interactive 1:500 scale Pipers model that shows the future skyline with all of the proposed new towers. An exclusive course for young people aged 15 - 18yrs pursuing higher education in Architecture either at foundation or degree level. Each week students will work with architect mentors from a different practice to learn the art of architectural drawing. You will develop new work for your portfolio, hone technical drawing skills and learn how to creatively apply your talents to generate, visualise and present your own ideas. Inspired by a range of new schemes across London you will learn more about the development of the city and the issues that affect you, including sustainable planning and the housing crisis. You will also get the chance to use Sketch-Up and work with different media. Over the weekend the bustling streets of the City are quiet and peaceful making it the perfect time to discover the Square Mile by bike. Join Peter Murray (Chairman of The City Centre and NLA) for this one-off cycling tour of The City of London. The tour will take in key pieces of architecture such as Smithfield Market, the Barbican, London Wall and new developments in the Easter Cluster Area. We will explore the rapidly changing architectural landscape and investigate the opportunities and challenges that will arise in the area over the next decade. The route will allow riders to study the Corporation's recent improvements to cycling and walking infrastructure in the Square Mile. This tour will start at The City Centre, 80 Basinghall Street, EC2V 5AG and end at Aldgate in the East. Guests are invited to bring their own bicycles. Santander cycles are available to hire nearby from Cheapside, Wood Street, Aldermanbury, Finsbury Circus, The Bank of England Museum and Fore Street. See here for hire details. Linda Kitson explores the City’s changing skyline through her vibrant digital cityscapes. The exhibition of her new work currently on display at The City Centre takes a close look at the buildings under construction in the Square Mile. Join us for a unique chance to learn from the artist herself on how to capture the changing skyline on your iPad. This masterclass and drawing walk will focus on the Eastern Cluster Area, which is featured throughout the exhibition. The masterclass will take place at The City Centre, 80 Basinghall Street, EC2V 5AG followed by a walking tour lasting approximately 60mins. Attendees are required to bring their own iPads to the session but folding chairs for drawing outside will be provided. Through a range of hands-on practical activities such as digital design, architectural drawing and model making workshops as well as inspiring trips to new developments you will have a fun, challenging and creative chance to learn more about architectural design careers. Inspired by the City Centre's exhibition Linda Kitson: iPad Drawings of buildings under construction in the City of London this is a free course for young people aged 16-18yrs who will get the chance to visit the construction site of the latest skyscraper in the eastern cluster 22 Bishopsgate. The week will challenge you to design like a real architect or planner, think strategically, problem-solve and work as a team to respond to a brief creating your own ideas for a new place in London. You will learn about the key issues in the city that affect you. You will come up with original ideas, design buildings, create models, do a final presentation of your work and meet industry professionals. Families can join us at The Monument and The City Centre this July to discover the architecture behind London’s most famous fire! Beginning at The Monument we will climb to the top and discover the story of where the Great Fire began. From here we will chart the fires progress on an interactive walk throughout the City. We’ll end at The City Centre where you will see an amazing 3D model of the City of London and re-imagine The Monument with your own designs. Along the way we’ll hear about the people, places and stories behind the rebuilding of London. Please note that this event involves a climb of 311 steps to the top of The Monument and a 1/2 mile walk to the City Centre. Lunch is not provided so please bring a pack lunch. This activity is open to children of all ages but particularly appropriate for those aged 6 to 10. All children (those aged 16 and under) must be accompanied by an adult. As part of the City of London’s Women: Work and Power Campaign The City Centre will be hosting an evening of presentations, discussion and networking to mark one hundred years of women’s suffrage. Chaired by Gwen Rhys, CEO of Women in the City, our panel of speakers will celebrate women's contribution to architecture and the shaping of the City of London's built environment over the last century. What does the future hold and how can we work together to increase and celebrate diversity in the industry? Since the Big Bang in 1986 the City has remained a resilient centre for business, culture and trade. What impact did the Big Bang have on the City's built environment? How has the City changed since, and what lies in store for the City post Brexit? Addressing the theme of Identity, this panel discussion will reflect on how The City of London’s built environment has developed over the last 30 years to adapt to ever-changing needs. After the success of our inaugural City of London Showoff in March, comedian Steve Cross is returning to The City Centre as part of the LFA to host another Showoff event. This time he'll be focusing on the theme of Architecture. Expect an evening of stand up, storytelling and interesting facts about London's built environment. Throughout history commerce has played a huge part in forming the City of London’s identity. From the arrival of the coffee house in the 17th Century where some of the world’s greatest financial institutions like Lloyd’s of London were born, up until now where over 500 banks have made their home in the City. Our walk will explore the heart of the Square Mile around Bank Junction. We will take in the significant buildings that were vital in establishing the City as the UK's financial centre. The City of London has a varied and unique identity that is often overlooked. We think of the City as purely a space for work, for business and in particular as a financial centre. Whilst the City remains the financial capital of Europe, our panellists will uncover the history and future of three iconic areas that prove the City has a lot more to offer; The Eastern Cluster, Culture Mile, Cheapside. Due to its pre-eminent and diverse architecture the London skyline is one of the most recognisable in the world and it is celebrated as an iconic part of the capital’s culture. Over the next decade London’s skyline will be drastically transformed with the Square Mile set to be home to 13 new skyscrapers. Our walk will explore how the skyline in and around the Eastern Cluster has informed the City of London’s identity as the historic heart of the capital. This walk will start at The City Centre, EC2V 5AR and end at Liverpool Street Station, EC2M 7QH. 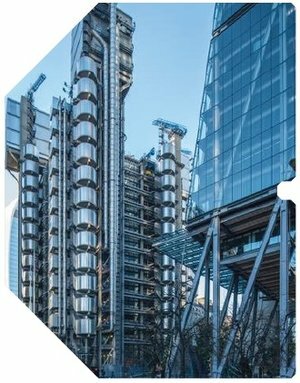 Our City Briefing events give you the chance to learn about how the work of different teams within the City of London Corporation contributes to improving the built environment of the Square Mile. This month we will be hearing from the Public Realm team, along with a panel of industry experts, for an evening of debate and discussion around how the City is continually evolving to meet the needs of the growing community and an increasing number of visitors. The team is currently working on major strategies in key areas of the City including Moorgate, the Eastern City Cluster, and a new cultural destination called Culture Mile. These are the foundation for improving the streets and public spaces in the Square Mile. The team is also delivering a temporary public art project called Sculpture in the City, as well as a City wide Lighting Strategy. Celebrate the start of Summer by joining guide and garden expert Marion Blair for a walking tour exploring the City of London's green spaces. Linking into LFA's theme for 2018 this bespoke tour will give you a unique insight into how the gardens and pocket parks of the Square Mile shape the City's identity. 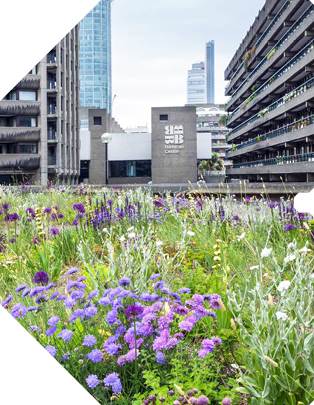 This walking tour starts at The City Centre and will take in the gardens on the West side of the City of London including Barber Surgeons, Postmans Park, Moor Lane Air Quality garden and the Dunnett planting at the Barbican. These gardens provide a great contrast between the old and the new as well as between community and corporate planting schemes. The walk will last approximately 90 minutes and end beside St. Paul's underground station. Did you know that Architects design and build our city? Come along to this fun-filled family workshop to build your own city. Become architects for the day designing and constructing your own building models to create a cardboard city at Rich Mix. Be inspired by the built environment of the local area on facilitated tours happening throughout the day that will reveal the stories of east London past, present and future! The City Centre is excited to announce our inaugural City of London Showoff event in collaboration with comedian Steve Cross. We will be hearing from a variety of speakers and stand up acts including Charlotte Mykura, Philippa Jefferis, Hannah Cameron, Oliver Broadbent, Eleanor Morton and Ed Jefferson on a variety of topics from the City's architecture to the art of wandering and getting lost in the Square Mile. The evening will also be a chance to learn about the new buildings popping up in The City. The City Centre and NLA's Head of Learning Lettie McKie will be giving an introductory talk around our official architectural model. This promises to be a great night of storytelling and comedy on all things City of London. Join Peter Murray (Chairman of The City Centre and New London Architecture) for an evening of debate and discussion exploring the past, present and future of transport and streets in the City. This event is the first of The City Centre’s new quarterly City Briefings. 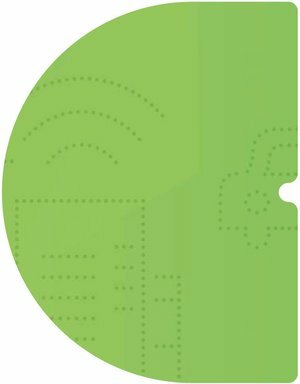 We will hear from Chris Hayward, the City of London Corporation’s Planning and Transportation Committee Chairman, about the upcoming Transport Strategy followed by a panel discussion with industry leaders from the public and private sectors who will discuss how we can deliver healthy streets as part of the Mayor of London’s wider strategy. Historic buildings in the City of London are protected and prepared for the future by specialist architects who re-design them for modern use such as offices, leisure destinations and cultural venues. This is a form of architecture known as Conservation and Retrofit. If you’re aged 14-19yrs and into art, architecture or design spend three days during February half term learning about an architectural discipline you might not have come across before. Participants will get to meet and learn from professionals working in the field who will set you a design brief responding to a real project in the City, the new Museum of London at Smithfield Market. You’ll get an exclusive tour of the construction site and meet the architects involved in transforming this iconic heritage site into the Museum's new home. 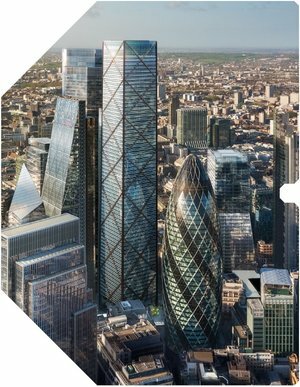 You'll learn from other case studies in the Square Mile and take part in a range of practical activities including learning how to use CAD software Sketch Up. You’ll also get the chance to improve your communication and public speaking skills, working in teams to complete a final presentation for your project. In collaboration with Intbau and The Museum of London. Families with young children can visit the Charterhouse and The City Centre this February half-term to explore all things architecture. Discover the changing face of London by exploring the City Centre's interactive architectural model showing the architecture of the square mile past, present and future. Continue your adventures with a family tour of the city ending at the Charterhouse for a hands-on workshop creating your own ideas for a future city. What is the Identity of the City of London? What are your experiences of visiting its historic architecture and iconic skyscrapers? How does it make you think, feel and act? Be inspired by The City of London model to self-publish a unique Zine exploring and expressing your ideas. Working with artist Millie Nice attend this half-day workshop to create your own artwork using original and found material in the form of drawings and photographs of the City of London’s architecture. Drawing is one of the most important skill an architect needs. Even with innovations such as Computer Assisted Design, digital models, 3D printers and laser cutters professionals still don't underestimate the usefulness of traditional drawing skills in helping them to articulate and realise their designs. In this half-day workshop at The City Centre you will get to work with a trained architect to expand your understanding of how to create detailed architectural drawings and hone your own technique, adding to your portfolio as you go along. Over the past six months The City Centre has hosted a series of exhibitions and events as part of our ‘A Smarter City’ programme. We have focused on three themes; Smart Green Spaces, Smart Buildings and Smart Infrastructure in order to search for new ideas that could be taken forward and used within The City of London. Join us at The City Centre for an evening of presentations from our competition winners Atkins, Schréder, BAM, Momentum Transport and McGregor Coxall. Presentations will be followed by a Q&A session between the winners, jury and audience as well as drinks and networking. We will finish the evening with our esteemed jury announcing the overall winner of the A Smarter City ideas competition. Click here for more information on the programme and shortlisted entries. On an artist led tour of the City learn how to get the perfect photograph of the different historic and contemporary architectural styles you see. Improve your photographic skills and learn how to capture the rich heritage of the City as it changes around you. For young people aged 14-19yrs. Participants should bring their own camera or smartphone however please let us know at the time of booking if you do not own one as we can lend you one. Be inspired by the City of London model to create your own stop-motion cut-out animations of the City skyline of the Future. Learn how to use istopmotion software and create storylines using simple design motifs. For young people aged 14-19yrs. For the third and final part of our A Smarter City competition we focused on 'Smart Infrastructure' and searched for new ideas on security, energy and transport in the City of London. New data and real-time analysis about behaviours and usage in The City offer the ability for us to do more with less. Both low and high tech solutions, coupled with progressive policy measures can quickly unlock capacity and efficiency across energy networks and roadways. Join Patricia Brown at The City Centre along with three of the shortlisted entrants to our Smart Infrastructure competition to have a lively debate about how ‘Smart’ ideas can improve working and travelling around The City of London. This free event will include presentations from James Rhodes and Giulio Ferrini from SYSTRA, Anna Sieczak and Oliver Lee from The Landscape Partnership and Oliver Riley from Aecom. Have you ever heard of landscape architecture? Where architects design buildings landscape architects reimagine and design for the future of a city's outside environment. If you’re aged 14-19yrs and into art, architecture or design spend two days during October half term learning about an amazing career path you might not have heard about before. You’ll get to meet professionals who will set you a brief responding to a real site in the City of London. You will get to try out your own ideas for how to transform it for the better, coming up with creative ways to change how it looks to make an impact on how people feel and act when they are there. To perfect your final designs you’ll visit the site, learn from case studies and do a range of practical activities including architectural drawing and Sketch-Up. You’ll also get the chance to improve your communication and public speaking skills, working in teams to complete a final presentation for your project. By 2050 the global population will reach 9 billion people, 66% of these will live in cities. In order to adapt to the challenges brought about by this urban population boom The City of London is becoming ‘A Smarter City’. By making changes to the way we connect and respond to architecture and the built environment we can increase The City’s resilience. The Square Mile’s high quality, flexible buildings and infrastructure provide significant capacity for growth, with a distinctive character derived from a diverse mix of buildings, uses, streets, spaces and unrivalled heritage and culture. Join us at The City Centre along with three of the shortlisted entrants to our Smart Buildings competition to have a lively debate about “Smart” solutions to some of the architectural challenges within The City of London. This free event will include presentations from Alison Richings from Endpoint, McGregor Coxall’s Mike Cowdy and Wayne Head from Curl la Tourelle Head Architecture. The City Centre will be open all weekend as part of Open House 2017. Open House London is a city-wide celebration of the buildings, places, and neighbourhoods where we live, work and play. Over the weekend visitors will have access to our A Smarter City exhibition and an overview of the latest developments and architecture in the City of London via the interactive 1:500 scale Pipers model that shows the future skyline with all of the proposed new towers. Chairman of The City Centre and New London architecture Peter Murray will be giving a talk on Modern Architecture within The City of London and discuss the changing face of the Square Mile's built environment. One of The City Centre's knowledgeable team will give an introduction to our Pipers architectural model and answer your questions on the past, present and future of The City of London's architecture. Calling all young people with an interest in engineering in the Built Environment. If you’re considering pursuing a career in engineering, are interested in the construction industry or just want to find out more about how to have a voice in the development of your city then The City Centre’s Engineering Academy is where you need to be this August. Through a range of hands-on practical activities such as design, maths and construction challenges as well as inspiring trips to new developments you will have a fun, inspiring and creative chance to learn more about Engineering in the Built Environment. You will get access to our scale model of the City of London and the chance to meet professionals from across the industry who can give advice on CVs, study routes and university applications. This course will challenge you to work like a real structural or civil engineer; think strategically, problem-solve and work as a team to respond to tasks set. You will learn about the key issues in the city that affect you. You will come up with original ideas, design solutions to real life building problems and extend your knowledge of how Engineers are integral to turning building designs into reality. 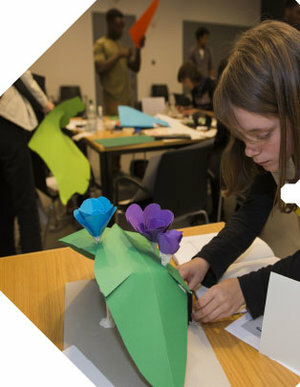 The City Centre have teamed up with the Museum of London and Open City to take part in Archikids a weekend of family activities in the square mile. Families can sign up on the day at the Museum of London for a fun-filled tour of the area around St Paul's Cathedral and Cheapside led by Lettie Mckie. Kids will be given an i-spy activity sheet to complete on the walk which ends at The City Centre. These 30 Minute walks will be happening throughout the day then participating families can stay on at The City Centre to attend a workshop inspired by the City of London model. Families will get the chance to help us create a giant collage of the City's future skyline using the colourful craft materials provided. Join Peter Murray (Chairman of The City Centre and NLA) for this special cycling tour of The City of London. At the weekend the streets of The City of London are transformed. The quiet and serene Square Mile is the perfect place to explore by bike. This tour will take in key pieces of architecture such as Smithfield Market, the Barbican, London Wall and The City Cluster including The Gherkin and the Leadenhall Building. We will explore the rapidly changing architectural landscape and investigate the opportunities and challenges that will arise over the next decade. This tour will start and at The City Centre, 80 Basinghall Street, EC2V 5AG and end at Aldgate in the East. Public space is an important characteristic of the City of London, with 200 pocket parks and churchyard gardens and numerous plazas totaling over 1 million square feet. To ensure that the public realm is being utilised, the City of London, and the entire capital, must enhance both flexibility and innovation when it comes to the design and development of new public spaces. Join us at The City Centre along with some of the shortlisted entrants to our Smart Green Spaces competition to have a lively debate about the future of London’s public realm. Chaired by Patricia Brown (Director, Central), this free event will include presentations from Broadway Malyan's Ashish Gupta, Will Sandy and Mak Gilchrist from The Edible Bus Stop Studio and Carlin Fier from Brookfield, and a panel joined by Romy Rawlings, ‎UK Business Development Manager at Vestre. Although tall buildings are increasingly dominating the City’s skyline the vast majority of new development within the square mile is retrofit, where an historic or post-war building is re-clad or renovated in order to make it suitable for 21st Century use. This tour will include some of the best and most recent examples of retrofit including Lutyen’s former Midland Bank now luxury hotel The Ned and Frederick's Place a perfectly preserved Georgian cul de sac down Old Jewry opposite James Stirling's 1 Poultry. We will examine these and many other notable examples of retrofit considering how it enables architects to preserve the past while providing for the future. Join Oxford Brookes School of Built Environment for a free workshop to introduce you to the work of Urban Planners in the City of London. Working with details of a real site within the square mile you will get the opportunity to explore and consider the issues that shape our built environment s - the preservation and use of historic buildings, improvements to transport infrastructure, the future needs of Londoners and the cost of development. Young People considering a career in the built environment (planning - surveying - property - urban design) will get a practical, hands-on taste of what it would be like to study this field at Oxford Brookes. An opportunity for those considering a degree in architecture to get a taster of what studying the subject is like. Run by The Sir John School of Architecture, Art and Design at London Metropolitan University. The Sir John Cass School of Art, Architecture and Design at London Metropolitan University (The Cass) offers courses across a broad range of subject areas: art (encompassing fine art, photography, English, creative writing, theatre and performance practice), architecture (including spatial planning and urban design) and design (which includes fashion, furniture, jewellery, interiors and visual communication. The City Centre youth panel welcomes you to Paternoster Square. We have designed a new pop-up structure for the bustling precinct next to St Paul’s Cathedral working with architects from Allford Hall Monaghan Morris. A group of young people have worked with architects and engineers to create a unique structure made up of over 50,000 components in the City of London’s Paternoster Square for London Festival of Architecture 2017. The team’s work culminated in a Build Day on 2 June in Paternoster Square, where they worked with members of the public to create the temporary structure, demonstrating to them how to build with the Miniplex system. The final installation makes a striking visual impact within the square set against the majestic backdrop of St Paul's Cathedral, and will remain there until 23 June. London is the eternal palimpsest, a City which is constantly altering itself while bearing the marks of the past. Responding to London Festival of Architecture’s theme of Memory, this panel discussion brings together experts across the Built Environment to discuss the need for and the impact of Retrofit. Chaired by Gwyn Richards from the City of London Corporation the panel will include leader in City retrofit and conservation, Architect John Robertson alongside Craig Hook (Chief Engineer, Sir Robert McAlpine) and Michael Meadows (Planning Director, British Land). The talks and discussion will focus on recent retrofit of historic buildings that are united by a particular period drawing out the stories of how those buildings have been used in different ways over time. A rare opportunity to design and build a unique pop-up structure for London Festival of Architecture 2017. Working with architects from Allford Hall Monaghan Morris alongside structural engineers and construction contractors you will be involved in the creation of an entirely new structural piece from start to finish. You will get the chance to put the final piece in a real space in the City of London working for a client who manages the space who will expect your work to be of the highest quality! The structure will be made from Miniplex, developed by AHMM architect Vlad Tenu, an adaptable modular assembly system that is easy to use. Working as a team made up of young people and professionals you will run a public event on the last day of the course demonstrating to members of the public how to use the system so that they can help you construct the final work. The piece will then remain in situ for a week during the festival so that thousands of passers by will engage with your designs. If you are thinking about studying architecture, engineering, construction or a related built environment subject at university this course will give you an in-depth taster of what a career in the field would really be like. As part of The City Centre's ‘A Smarter City’ programme join Dr Charles Fentiman and Sarah Hudson on a walking tour that explores and celebrates The City of London's Green spaces and Biodiversity. 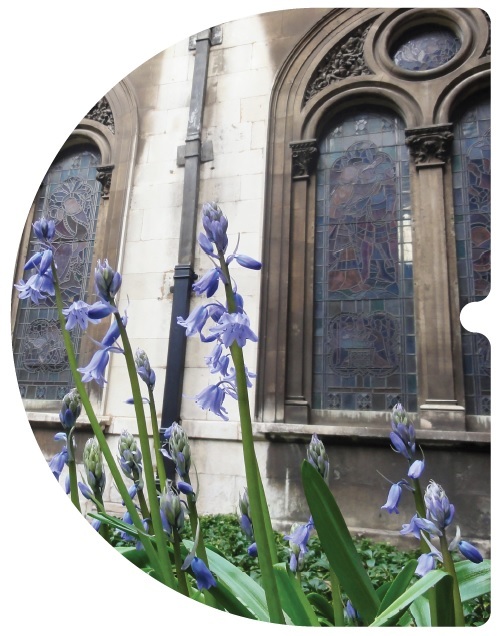 This tour will include some of the Sites of Local Importance for Nature Conservation including St Mary Aldermanbury and Bunhill Fields in order to give you an understanding of the surprising number of species that can be found in the most unexpected places within the Square Mile. The City Centre will be open all weekend on the 17th and 18th September as part of Open House London with a special programme of talks and activities. New London Architecture Chairman and Master of the Worshipful Company of Architects Peter Murray will give a talk looking at contemporary architecture in the City of London. One of our knowledgeable team will introduce the 1:500 scale interactive model, revealing what it teaches about the history, present and future of the City of London. Listen to our storyteller recount legends of London from its ancient Roman past to its most famous monuments. Did London Bridge really fall down? Who was Boadicea? and have you ever heard of the strange animal who is supposed to be the city's guardian? Become an architect for the afternoon! Design and create your own building model to take home using the recycled materials provided. Visitors can drop-in to each event on either day. No booking necessary. Responding to London Festival of Architecture’s 2016 theme ‘Community’ this panel discussion reflects on how we shape communities within the city, both in new buildings and retrofitting. Chaired by Peter Murray the evening will feature a range of expert panellists from across the industry who will consider the City’s current position as the world’s leading global financial centre as well as its unique architectural and cultural heritage over the last 2000 years. 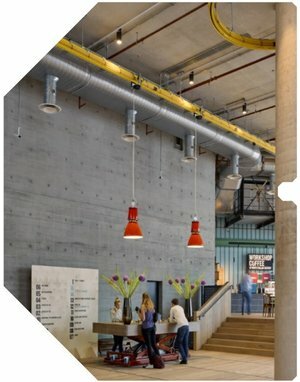 Panellists will debate the need for its built environment to constantly react to the fluctuations of the market and changing needs of businesses, alongside its increasing remit for the provision of high quality public space, green infrastructure and workplaces that provide for the health and well-being of employees. Panel: Paul Lincoln Deputy Chief Executive of the Landscape Institute, Oliver Bayliss Associate Director Buckely Gray Yeoman, Simon Glynn Acting Assistant Director of The City Public Realm at the City of London Corporation, Karen Cook Founding Partner of PLP Architecture, Nigel Dunnett Landscape Designer and Carlin Fier Director of Marketing and Communications at Brookfield. City guide and garden expert Marion Blair will take visitors on a whirlwind tour of some of the City gardens that inspired Rebecca Louise Law’s ‘The City Garden’ installation at The City Centre. From blitz gardens to roof gardens, Wren churchyards to private havens for City employees, this tour will give you an understanding of the complexities of the City’s network of open spaces. Far from a concrete jungle, the City has a wealth of historic and contemporary spaces for the public and workers to enjoy with well thought out planting schemes that defy a range of inhospitable and historic barriers. To celebrate the 90th Birthday of Queen Elizabeth II The City Centre is hosting a panel discussion as part of London Festival of Architecture reviewing and celebrating British Architecture during her lifetime. Chaired by John Goodall the Architecture Editor of Country Life the panel will also include Kenneth Powell author of New London Architecture, Rory Olcayto Chief Executive of Open City, The Royal Academy's Architectural Programme Curator Owen Hopkins and Historic England's chief buildings investigator Elain Harwood. Each will take a different period of the Queen’s lifetime from the historic buildings of her pre-war childhood to visionary post-war design, later post-modernist innovations in the 1980s and the rebirth of the Skyscraper in the 21st Century. Professor Dunnett was commissioned to develop new gardens and plantings north west of the Barbican after waterproofing works had been carried out. The new gardens, which had to respect the listed features and layout, provided an exciting opportunity to maximise a range of benefits such as increasing the biodiversity and aesthetic value, whilst meeting the challenging site conditions of this 'podium' landscape, including exposure and a wide range of microclimates. Crucially, the gardens are a pioneering example of a radical transformation of the public realm to meet the challenges posted by climate change and to create a more sustainable approach to the urban landscape. The planting scheme includes 22,000 herbaceous plants to provide colour and interest throughout the flowering season and fourteen new multi-stemmed trees to provide structure and a linear aspect to the garden. Professor Nigel Dunnett uses a pioneering approach to planting design and the integration of ecology and horticulture to achieve low-input, dynamic and diverse, ecologically-tuned landscapes. This work has been widely applied in the UK and abroad. He has worked on many major innovative, large scale projects, including the London 2012 Olympic Park, as well as The Diamond Garden, Buckingham Palace, the John Lewis Rain Garden (central London’s first street-side ‘rain garden’) and the RBC Rain Garden at The London Wetland Centre. Nigel has also designed Gold medal winning show gardens for The RHS Chelsea Flower Show. Tom Stuart-Smith is a landscape designer with an international reputation for making gardens that combine naturalism and modernity. His practice was established in 1998 and work since has ranged from large gardens and public parks, to smaller private gardens. Tom has also designed a number of gardens for the Chelsea Flower Show. Eight of these have been awarded gold medals, and three have won ‘Best in Show’. Most projects are located in the UK and Europe, with a few undertaken further afield.